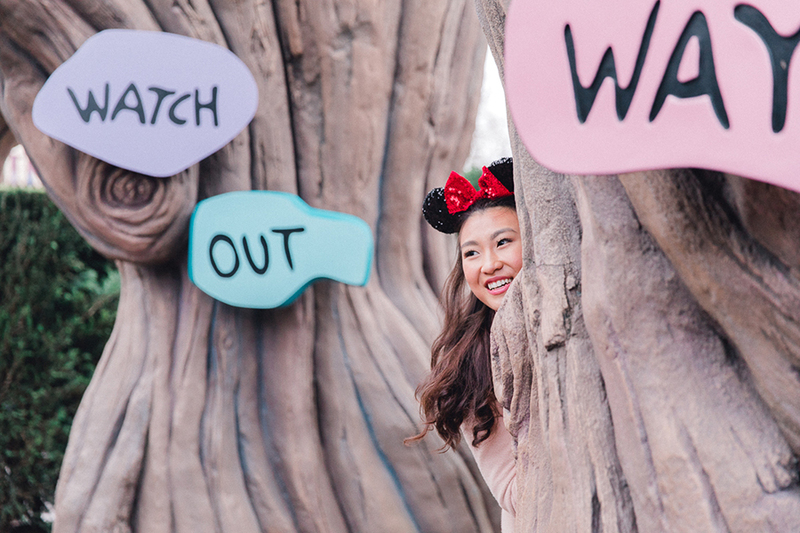 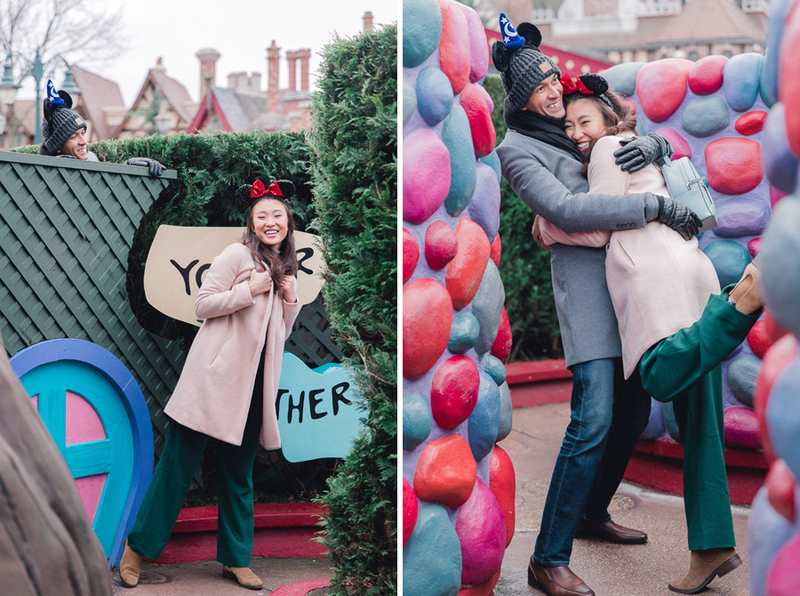 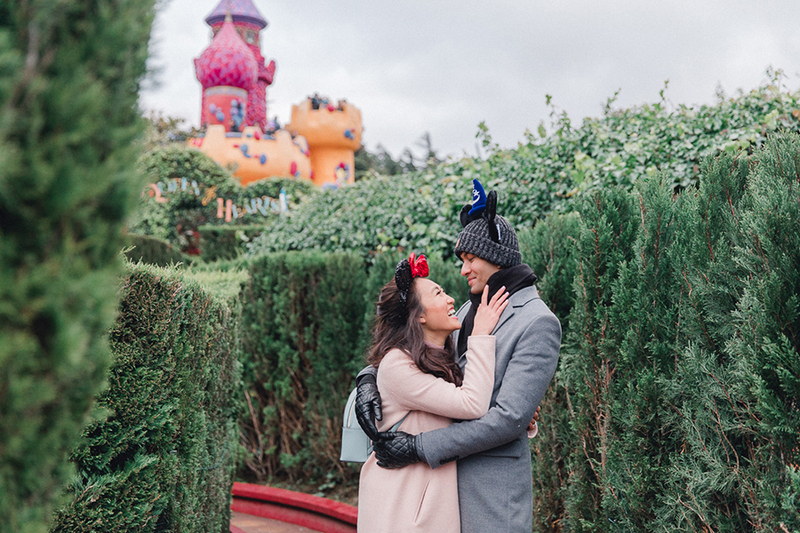 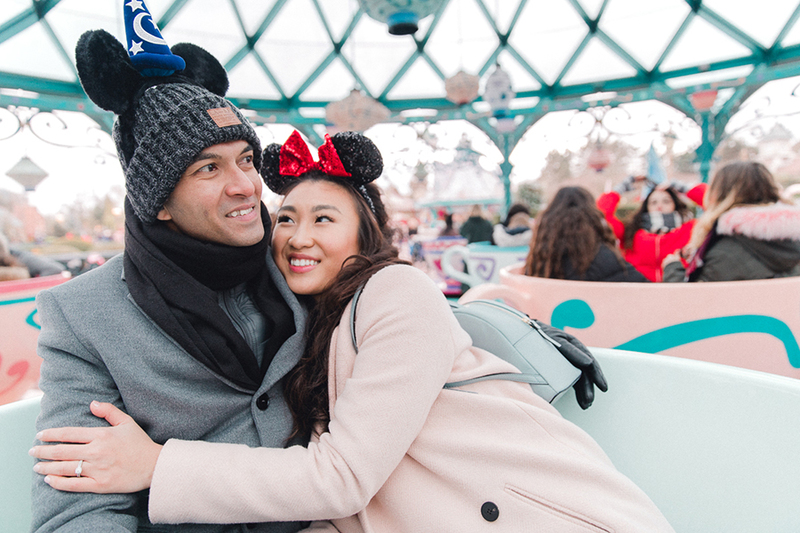 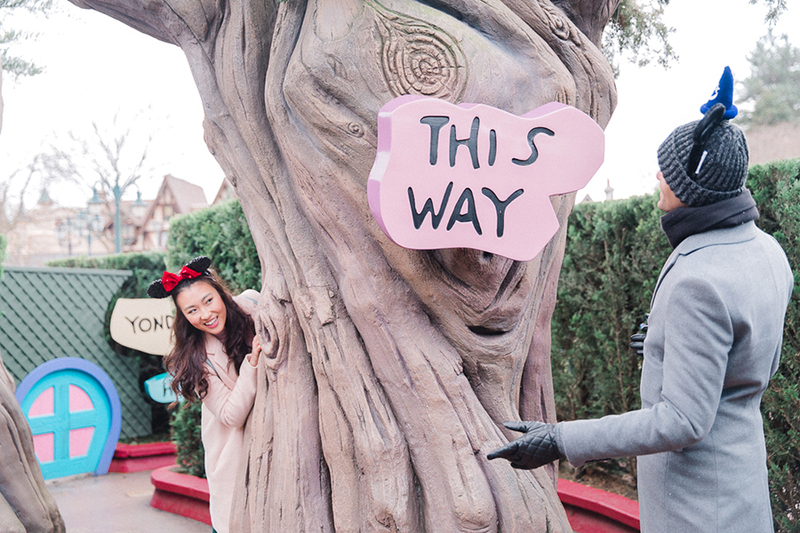 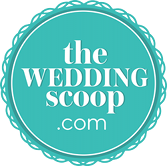 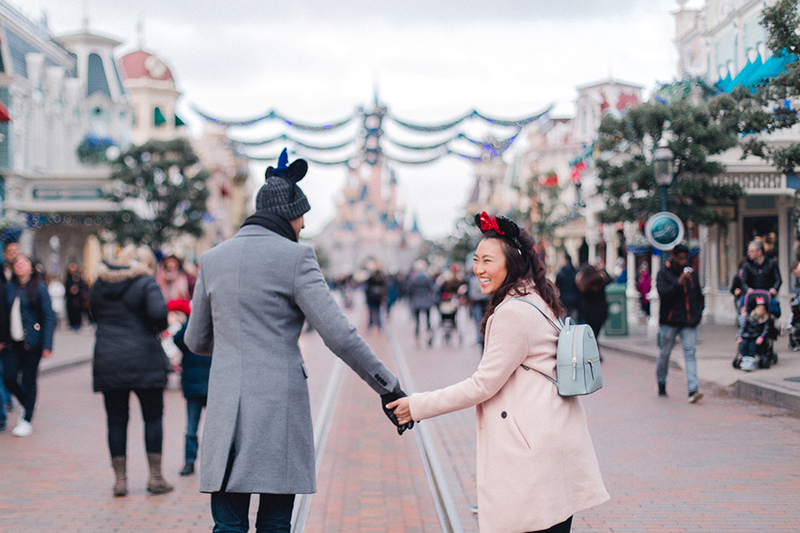 Shot on a cold winters day by Chen Sands Photography, our styled pre-wedding photo shoot is set in the happiest place on earth - Disneyland! 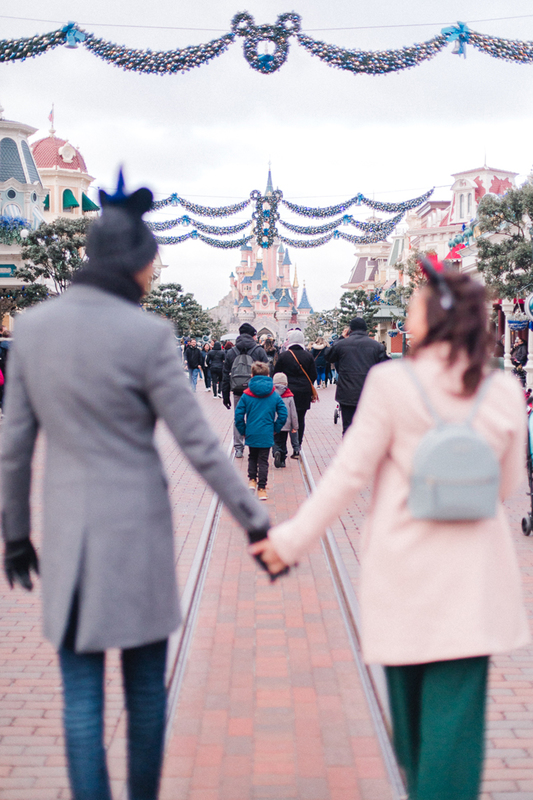 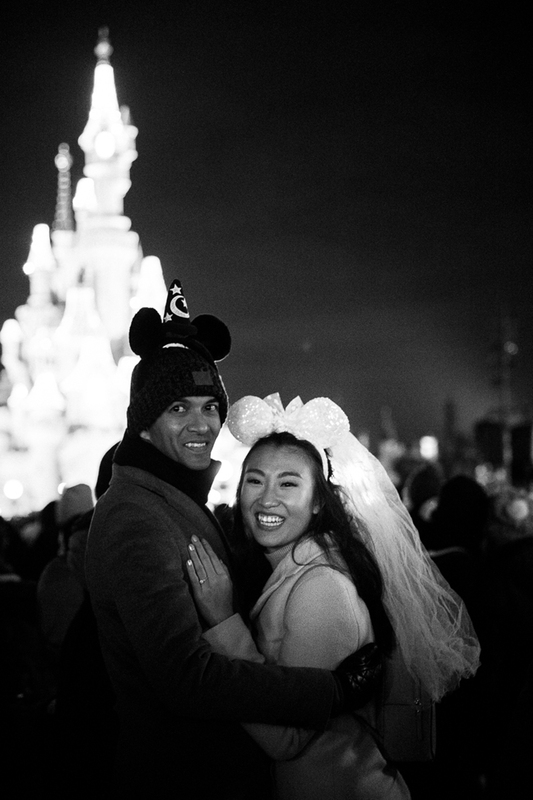 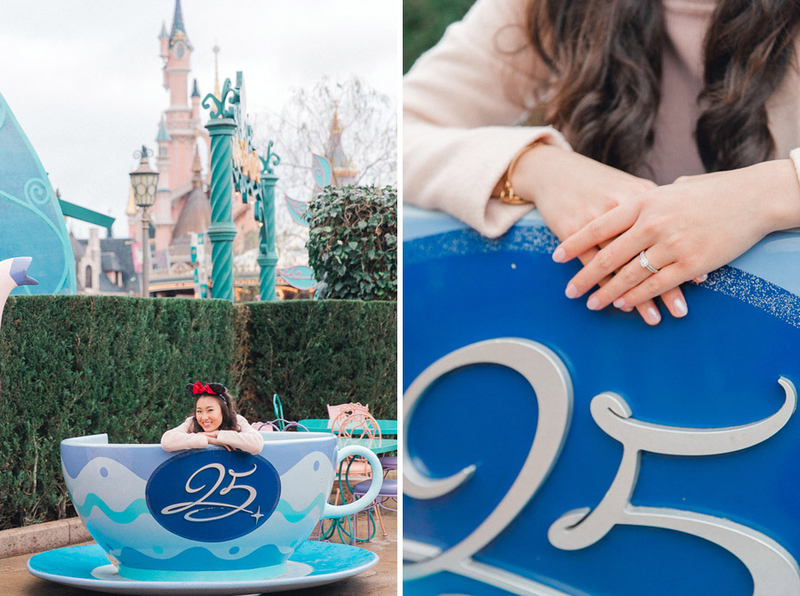 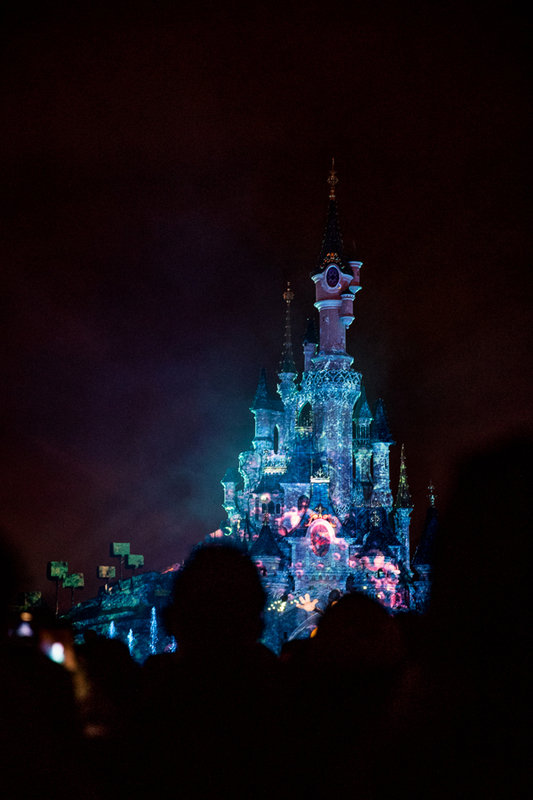 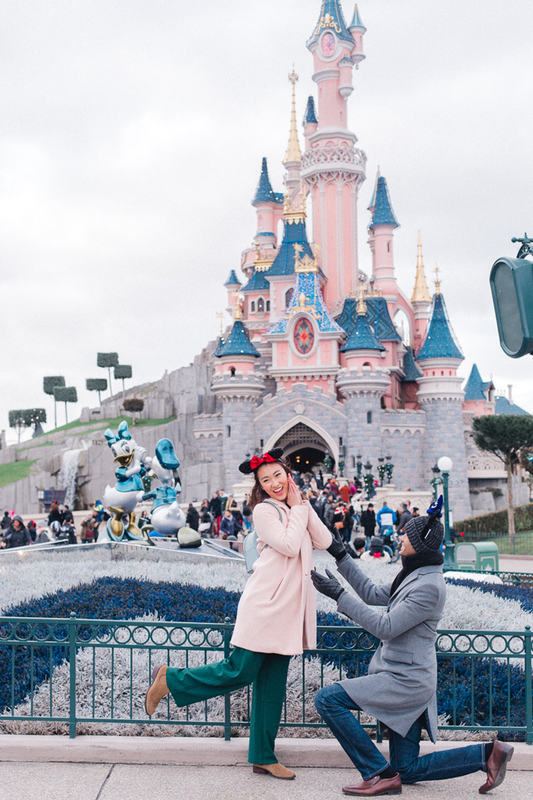 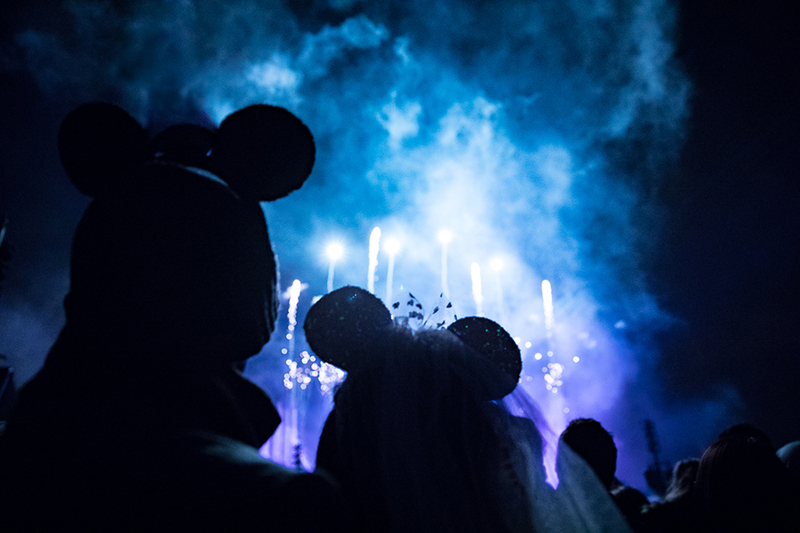 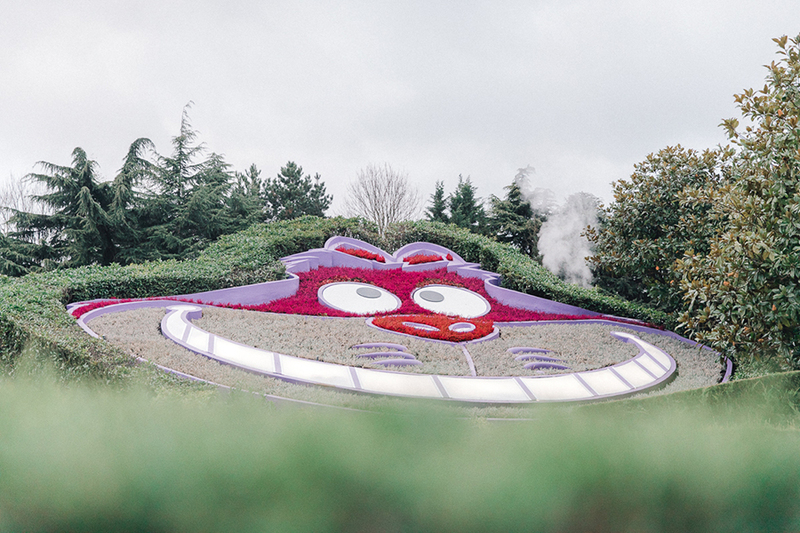 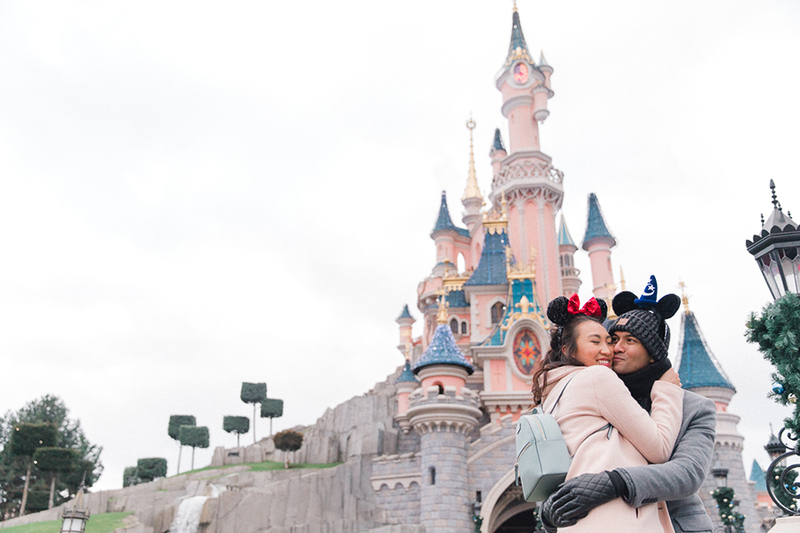 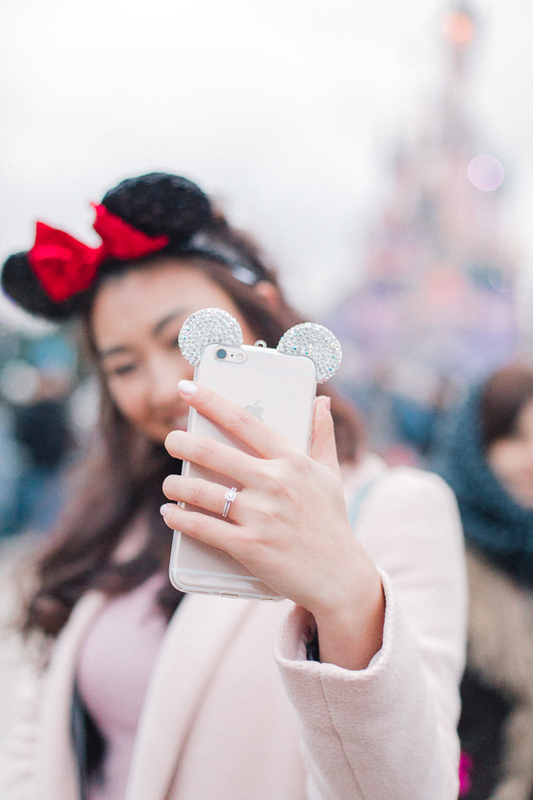 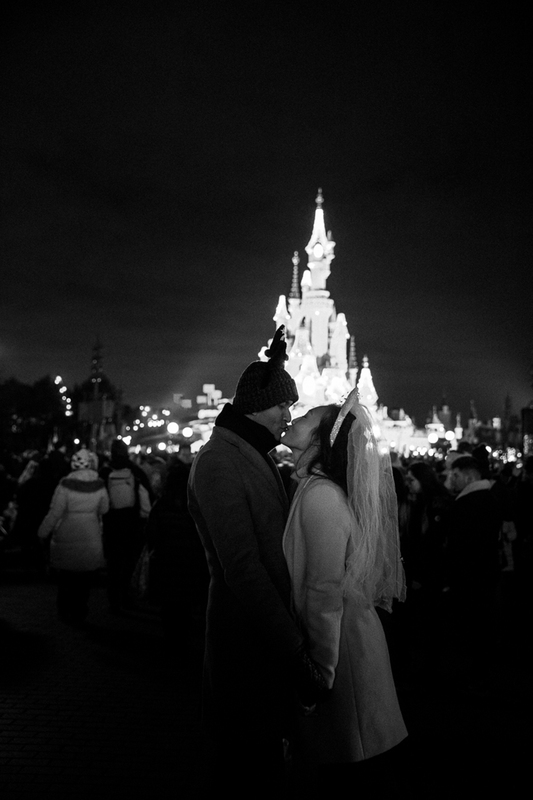 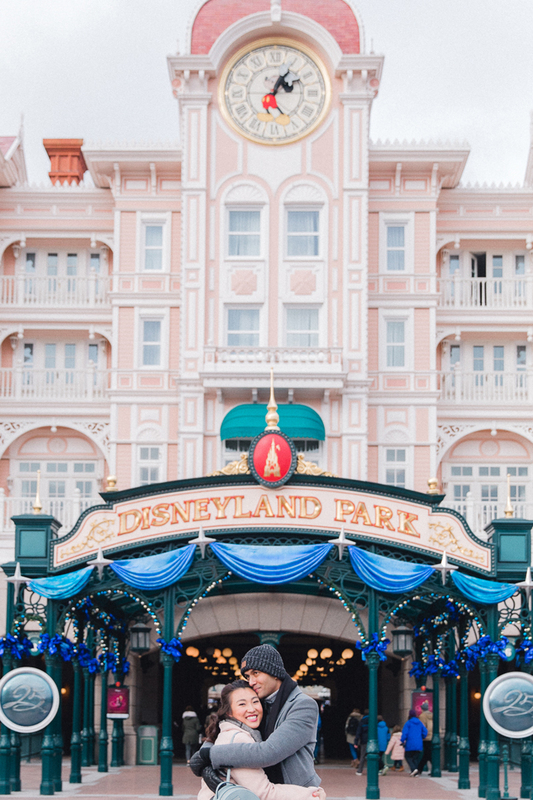 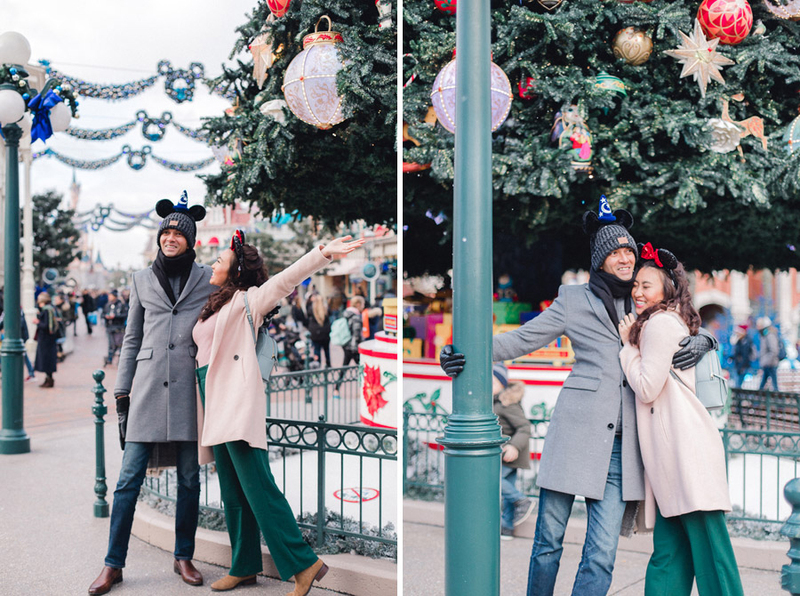 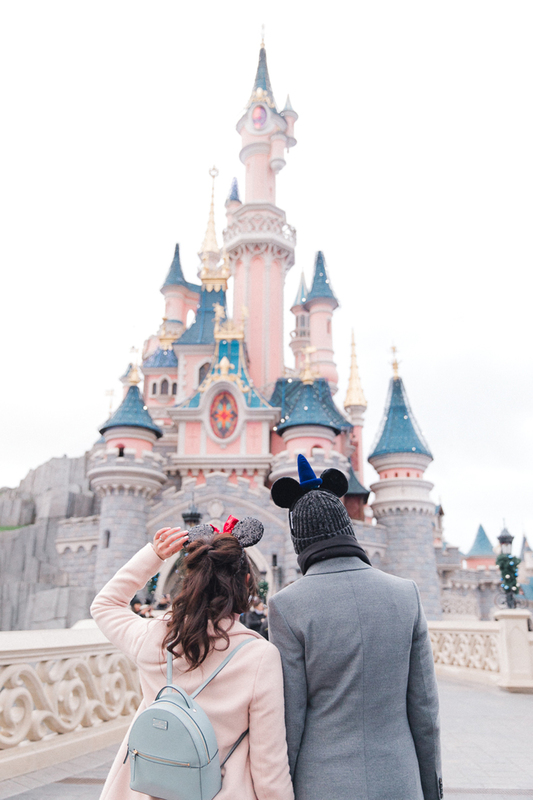 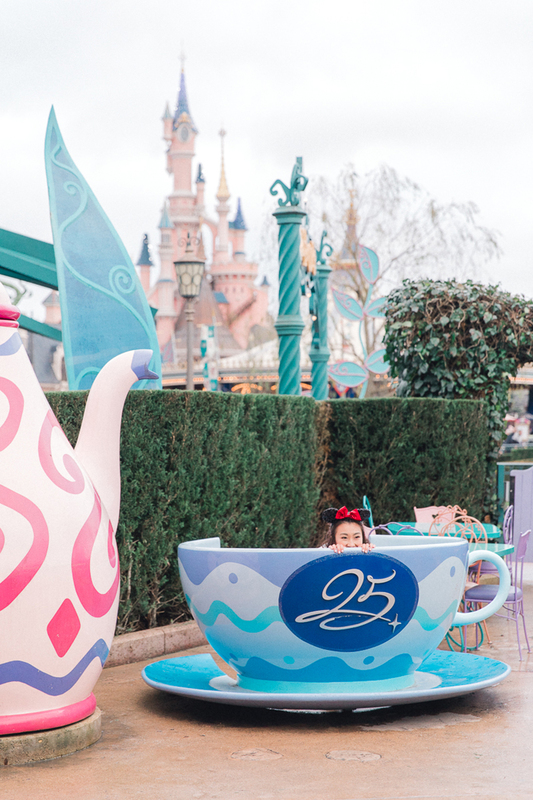 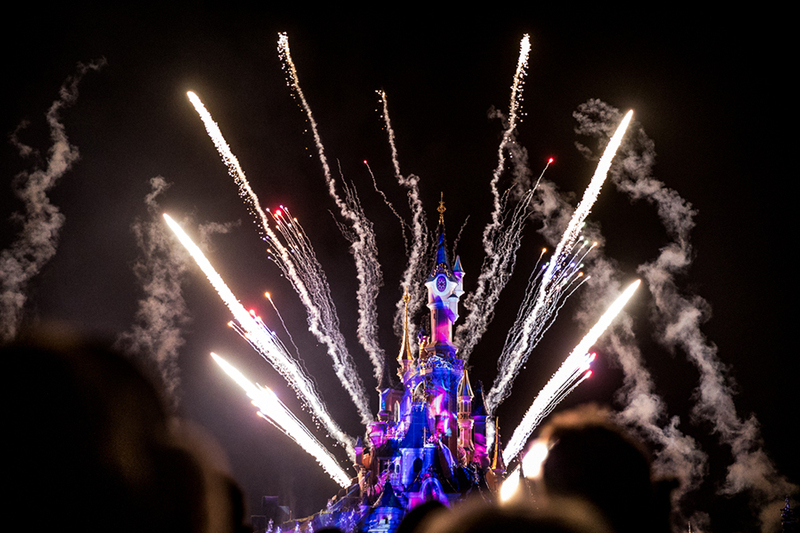 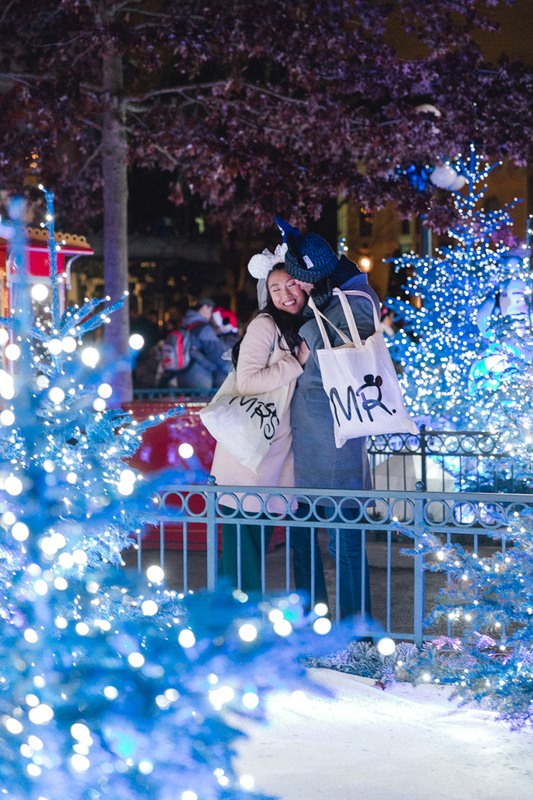 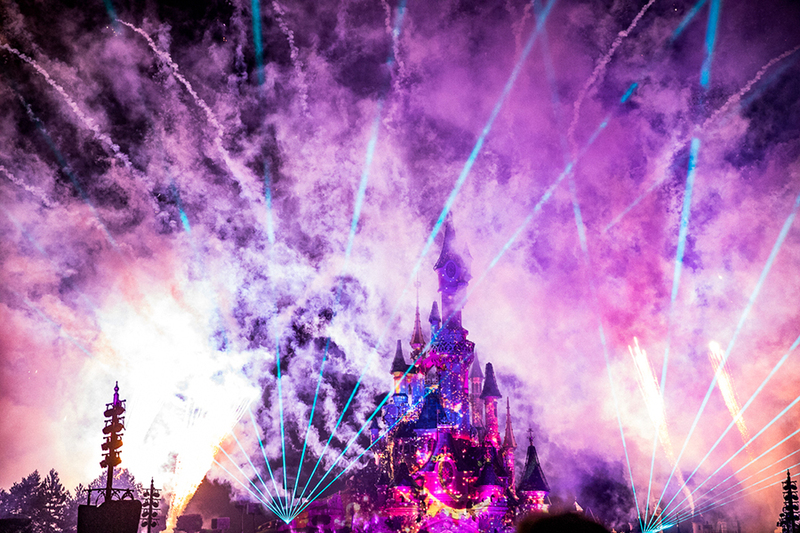 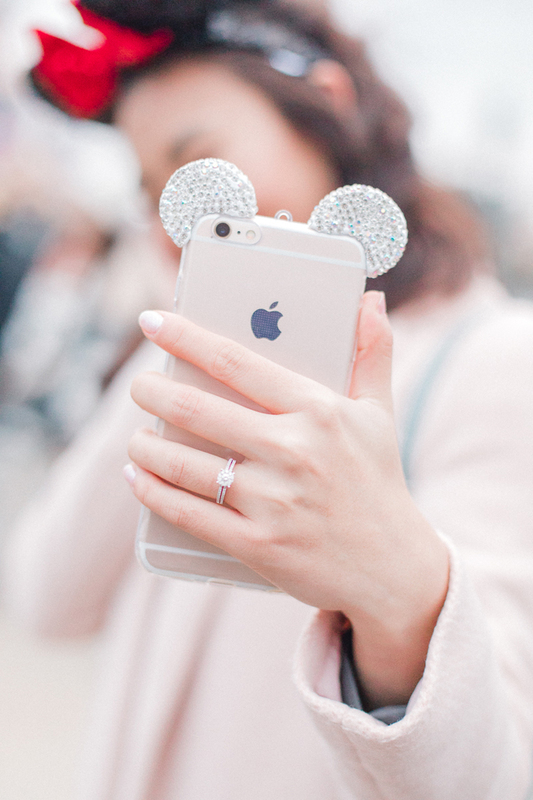 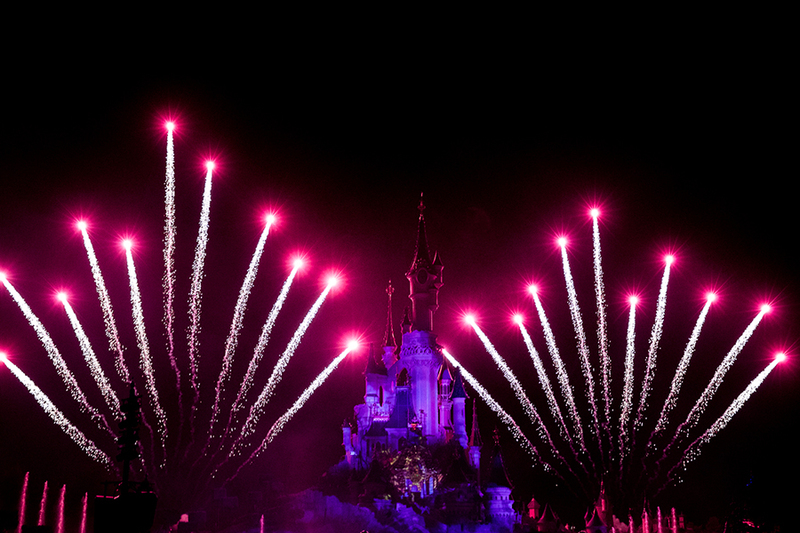 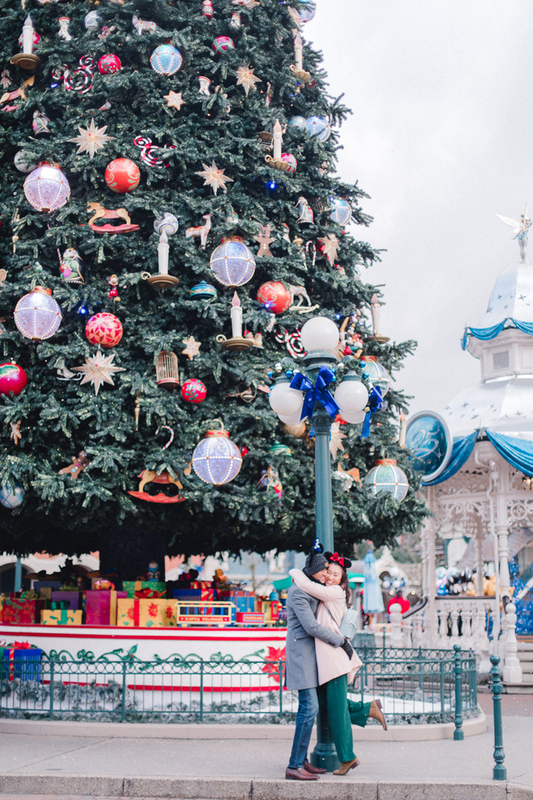 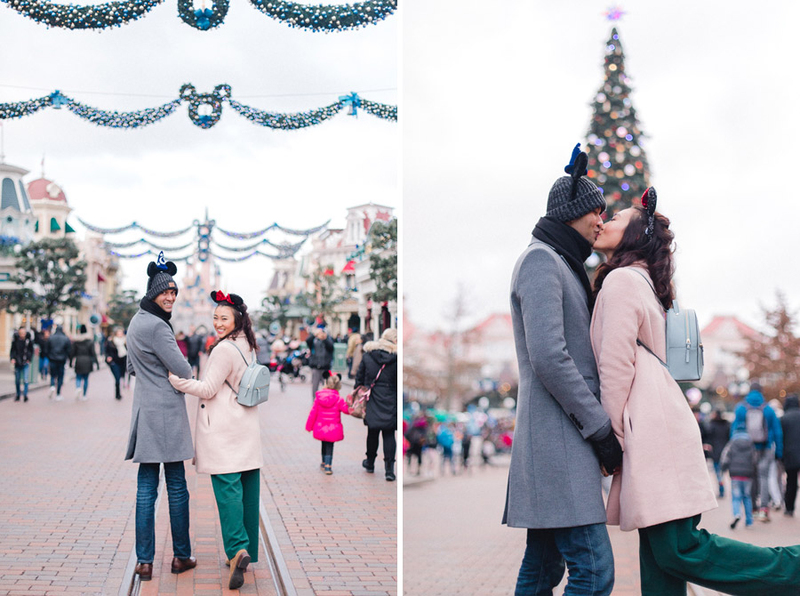 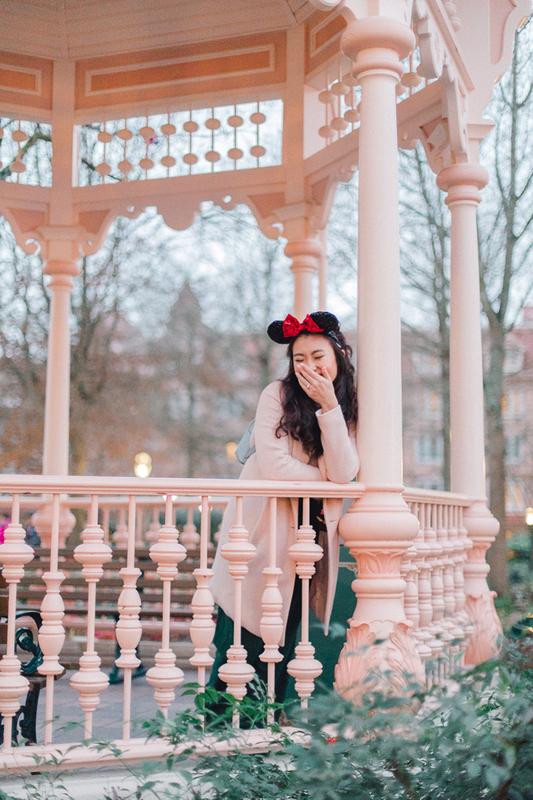 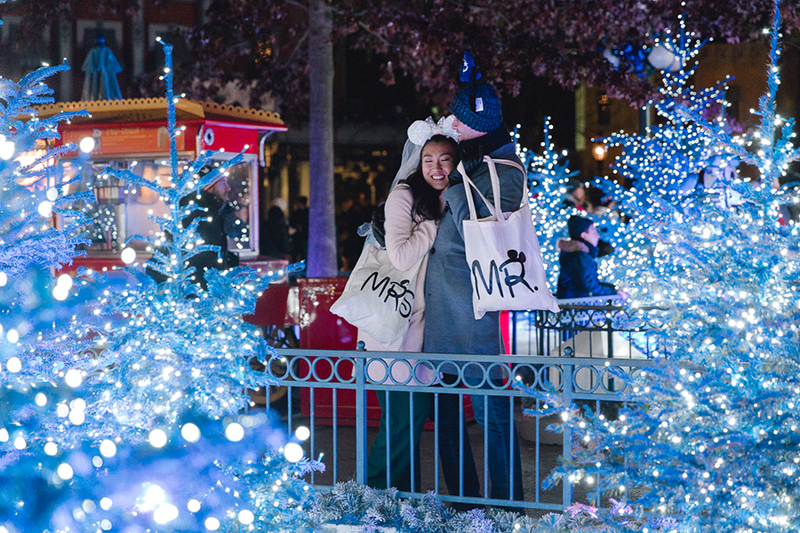 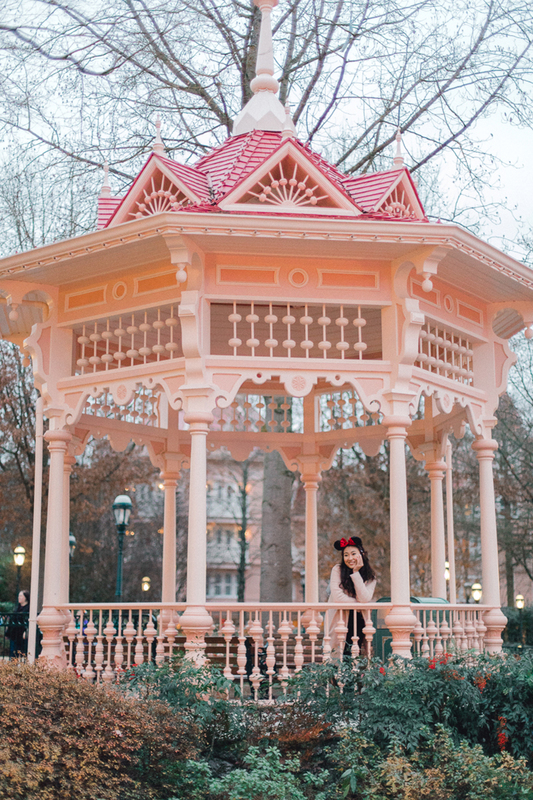 Immerse yourself into the magical world of Disneyland Paris with these fun photos of engaged couple Mandi and Chris which we think you’ll falalalalove. 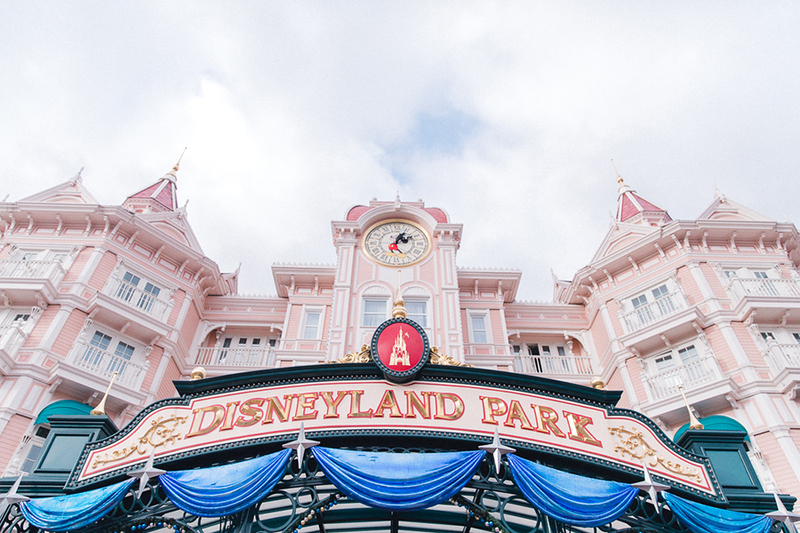 Any tips for visiting Disneyland? 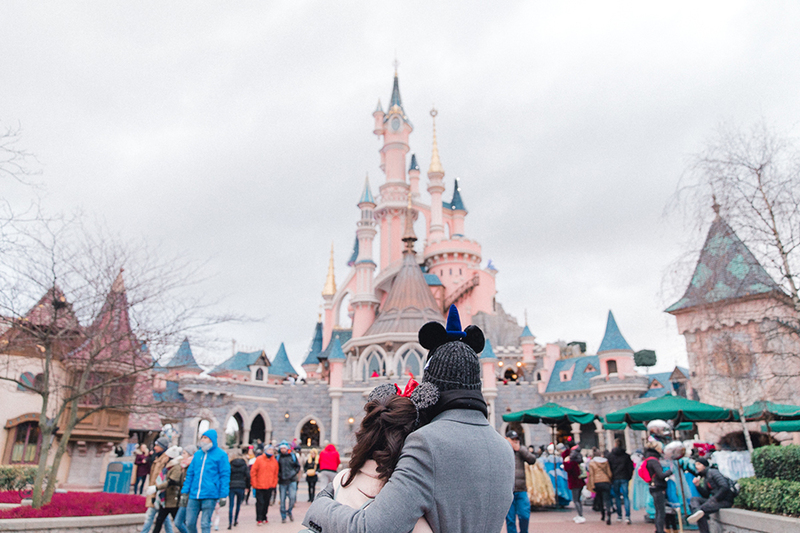 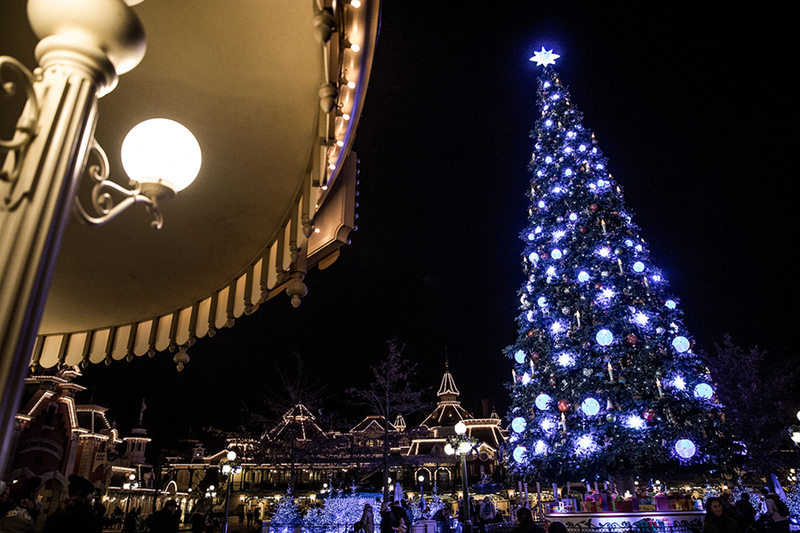 “Don’t fear a visit to Disneyland on a wintery day - it is just as magical! 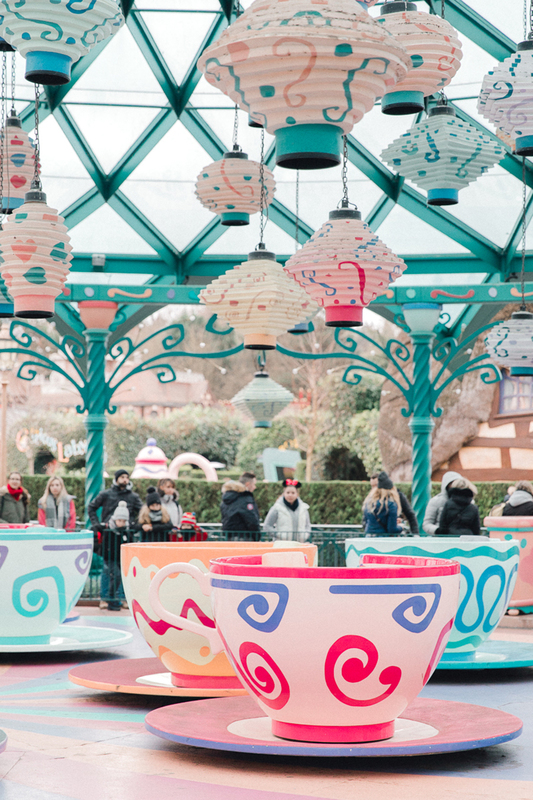 I’d also suggest not just hitting the rides but also taking some time to simply stroll around. 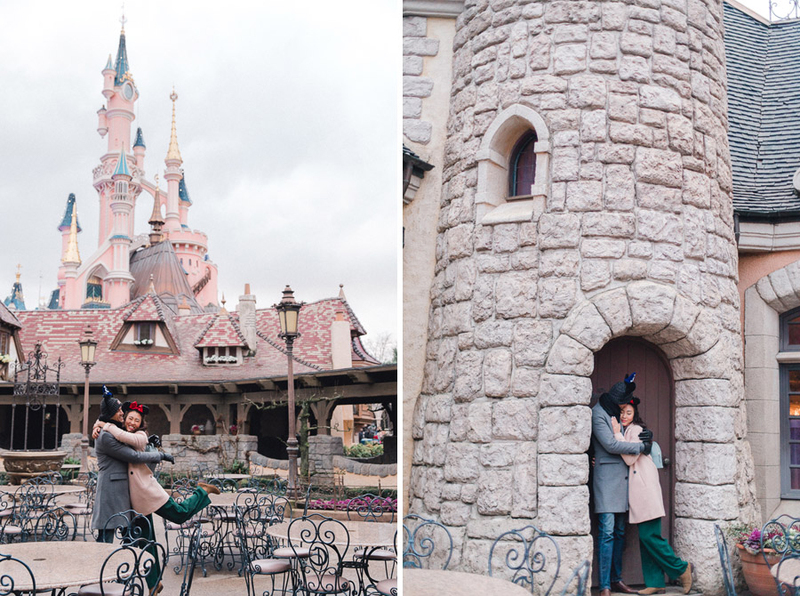 You’ll find some lovely areas like the village near Sleeping Beauty Castle where there are lots of snuggle spots! 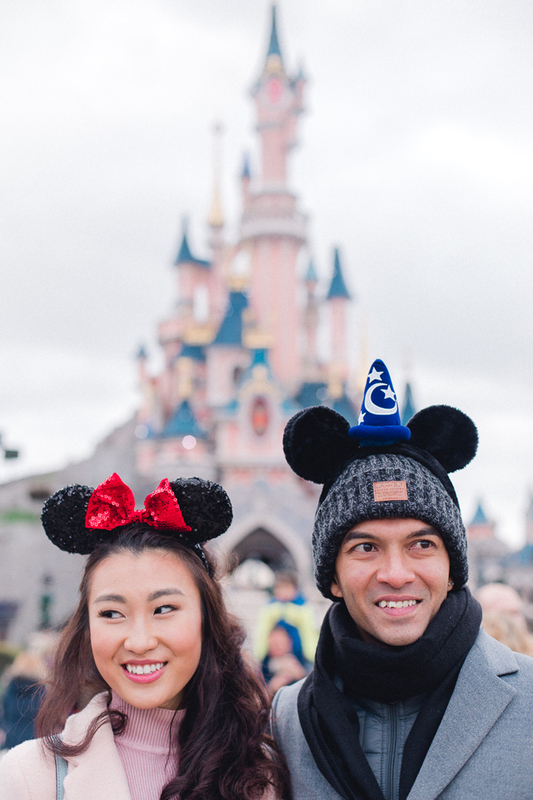 Any advice for couples looking to do a Disneyland photo shoot? 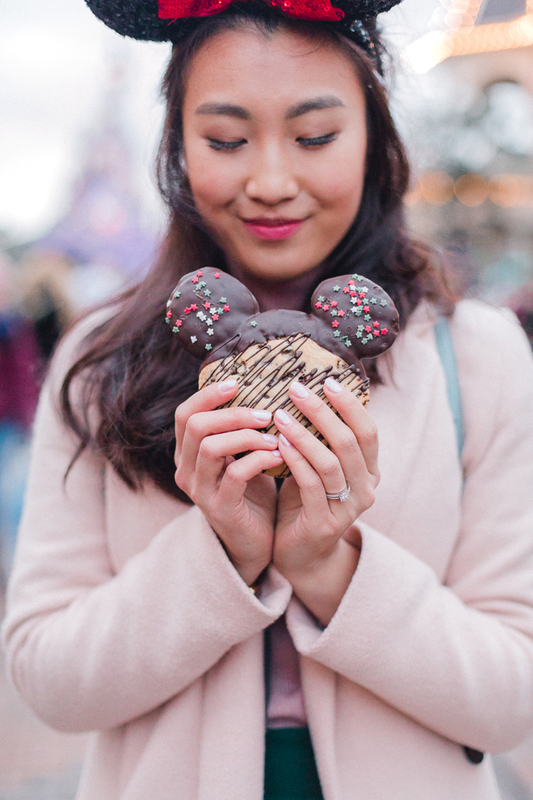 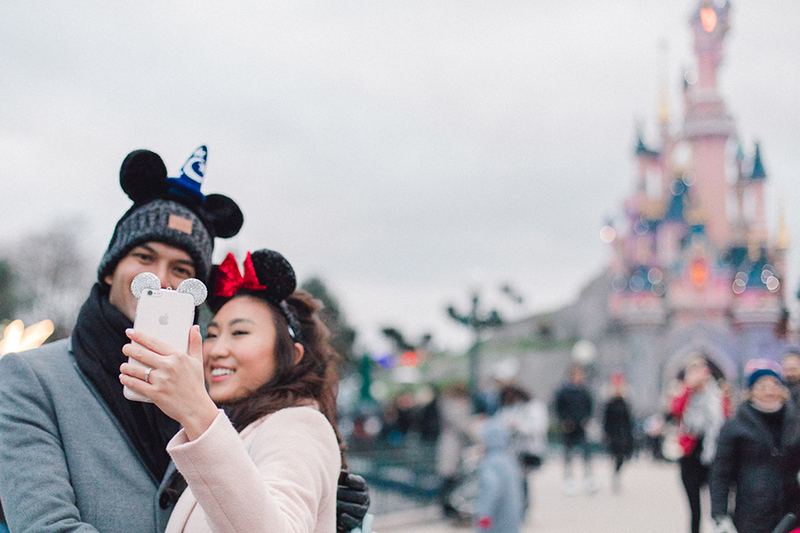 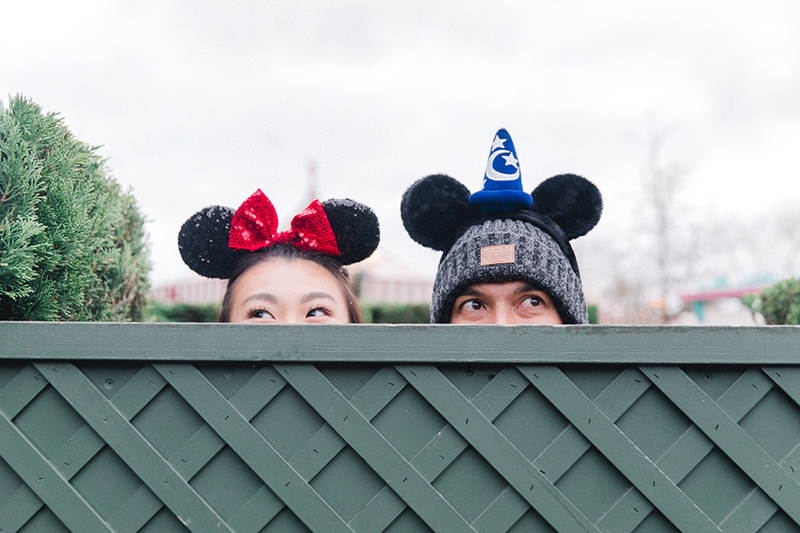 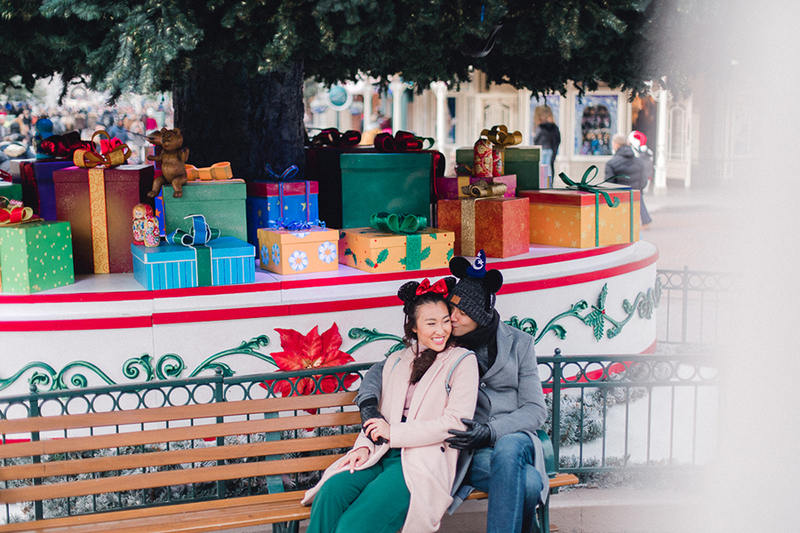 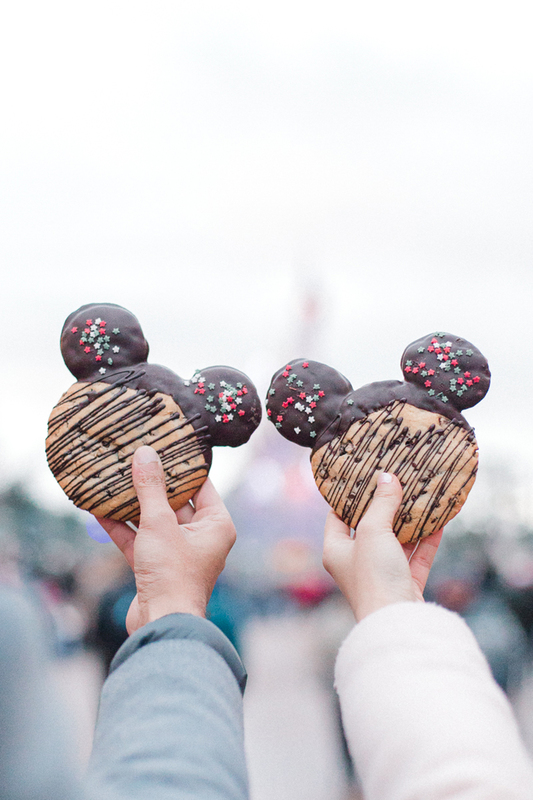 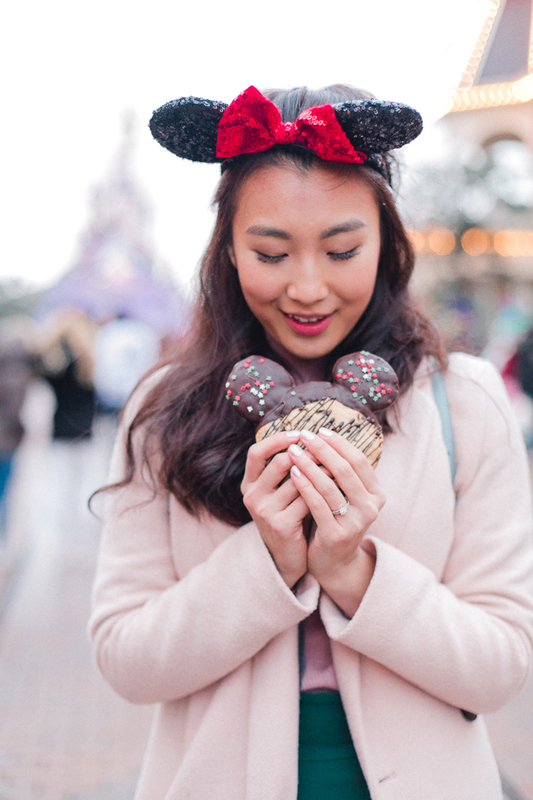 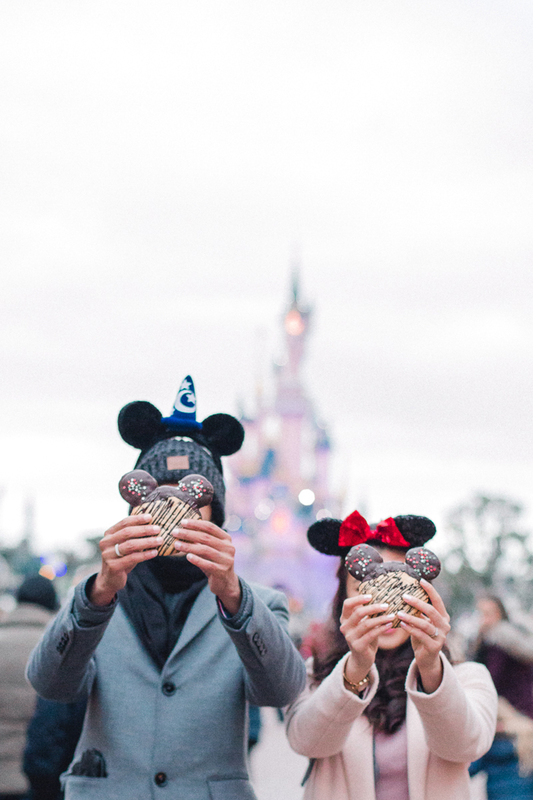 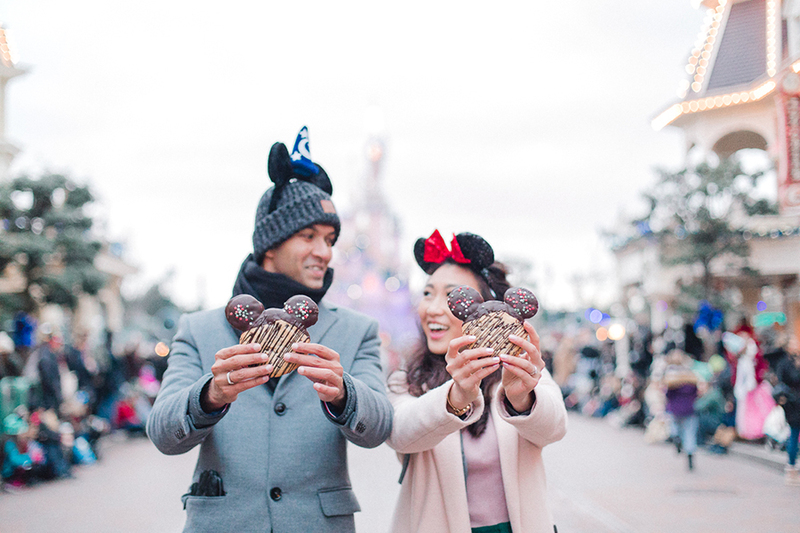 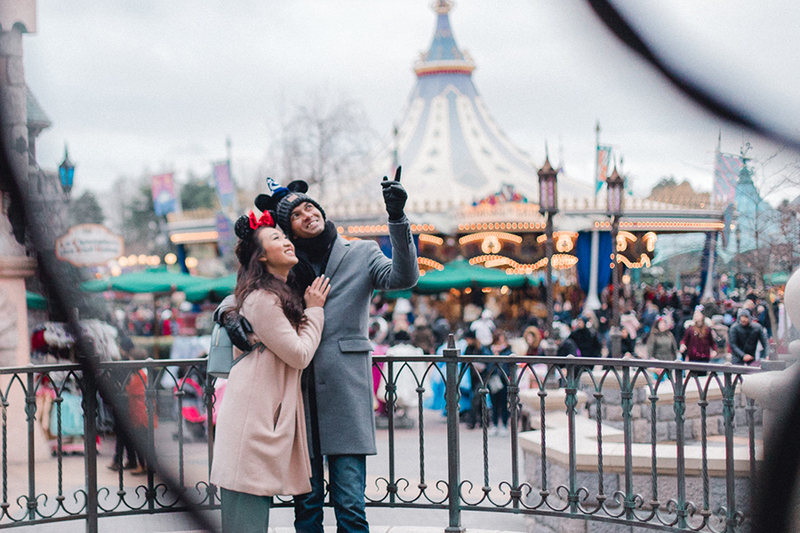 “For couples who are looking to take photos during the winter time at Disneyland, make sure you leave yourselves extra time during the shoot for warming hot chocolates and delicious nibbles as it gets very cold! 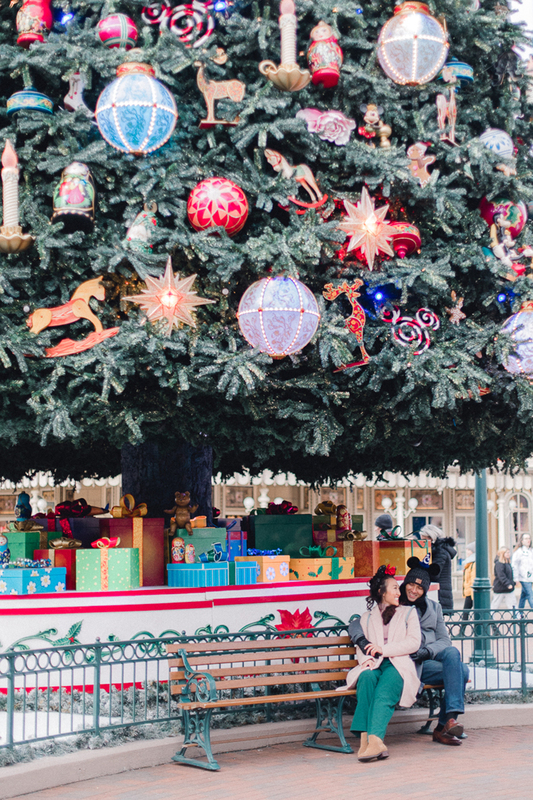 A stroll down Main Street is standard fare for every visitor, but don’t forget to catch the ‘snow’ which is turned on for parades and the tree lighting. 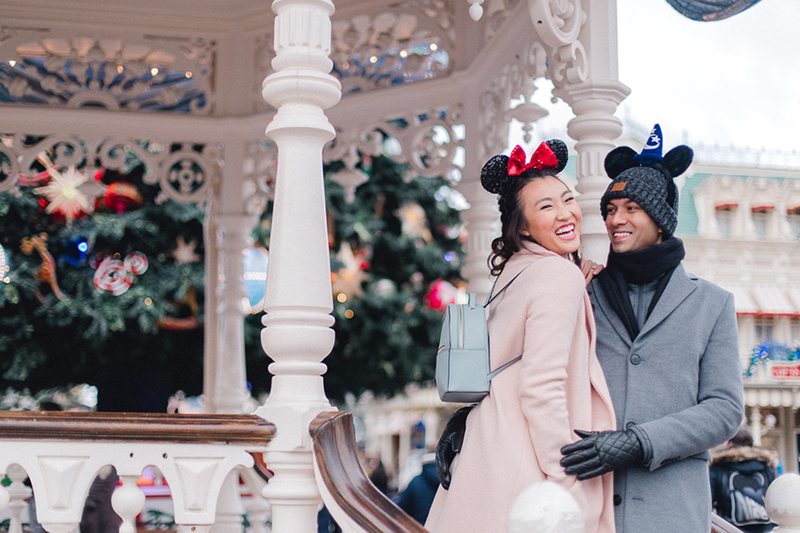 The ‘snow’ is also turned on periodically without prior warning, so you may be able to get pictures without the crowds – just be ready with your camera! 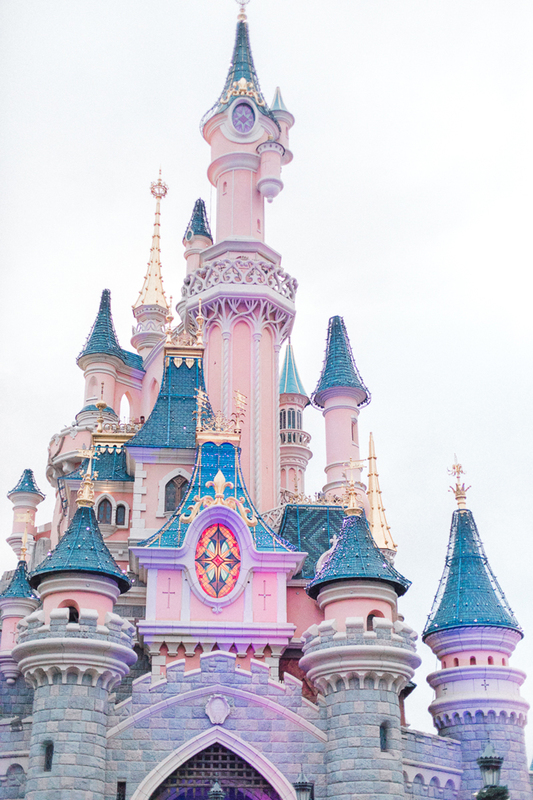 Speaking of avoiding crowds, the front of Sleeping Beauty Castle is lovely (take a selfie!) 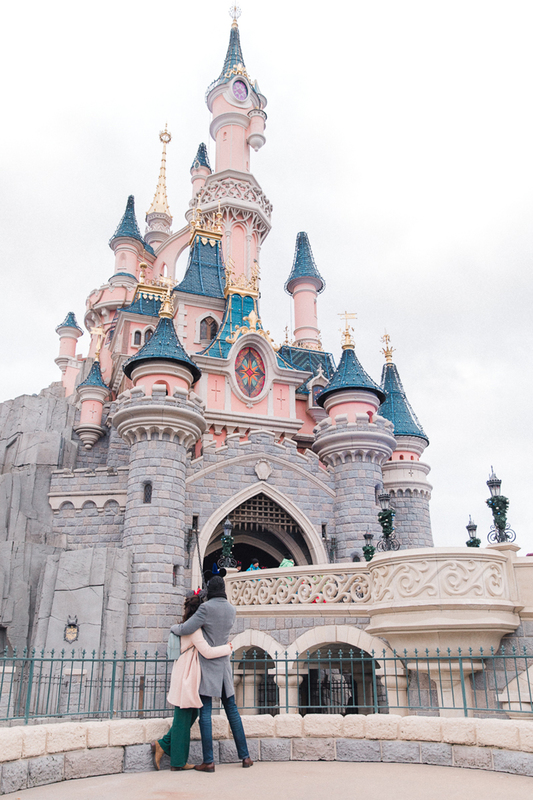 but the back is just as beautiful. 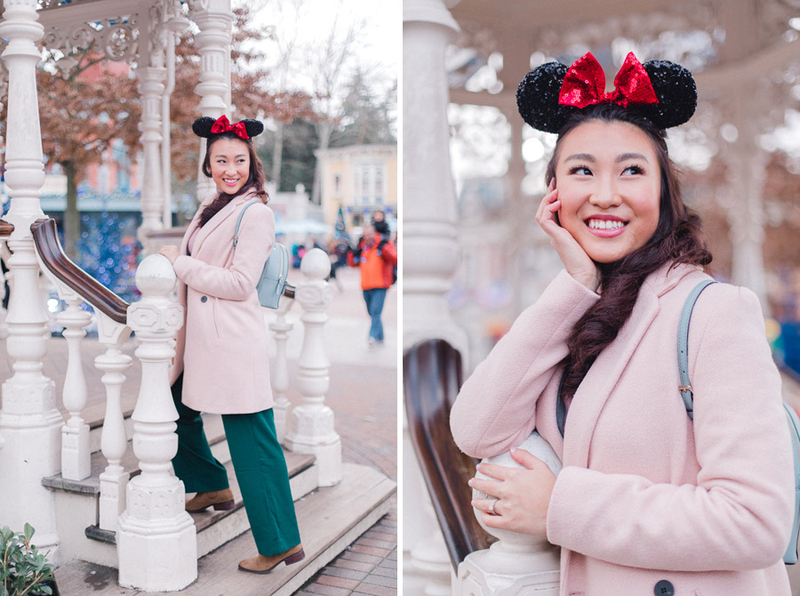 Disney Village, the entertainment district outside of the Disneyland theme park, is also so sweet, with a pink/peach pagoda. 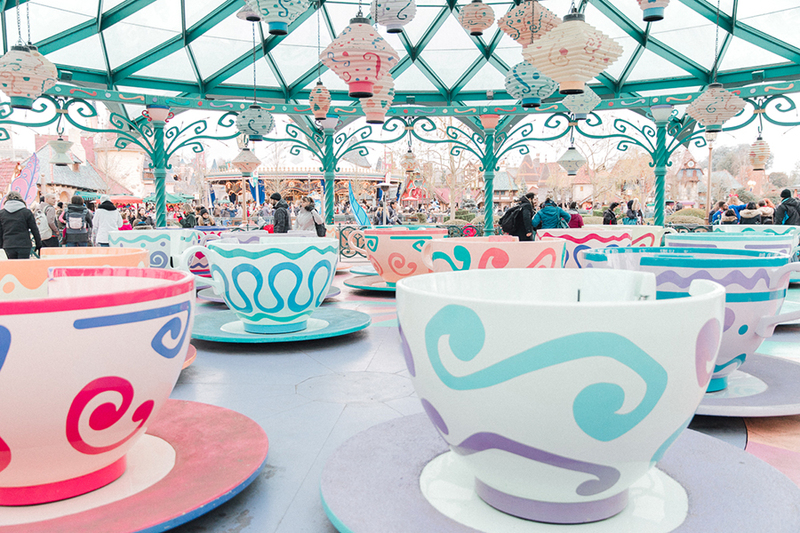 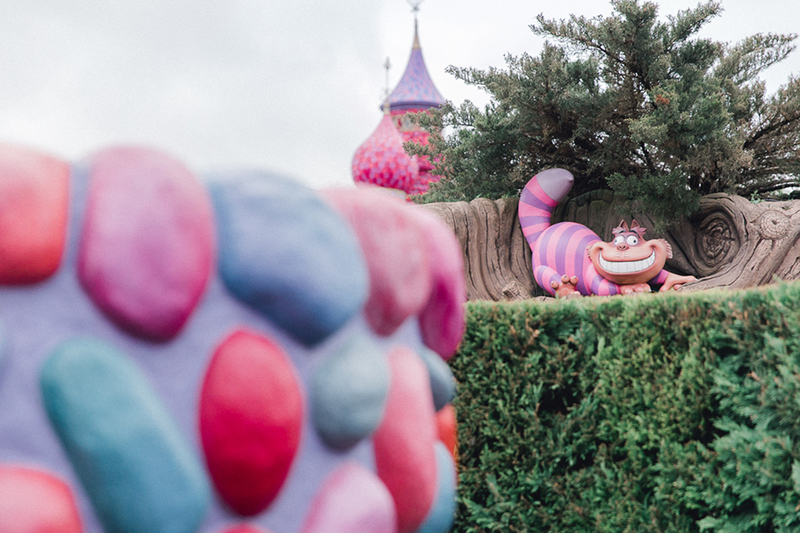 Keep up the fun and get ‘lost’ with Alice in Wonderland, play in the teacups, and find the special 25th anniversary teacup next to the teacup ride. 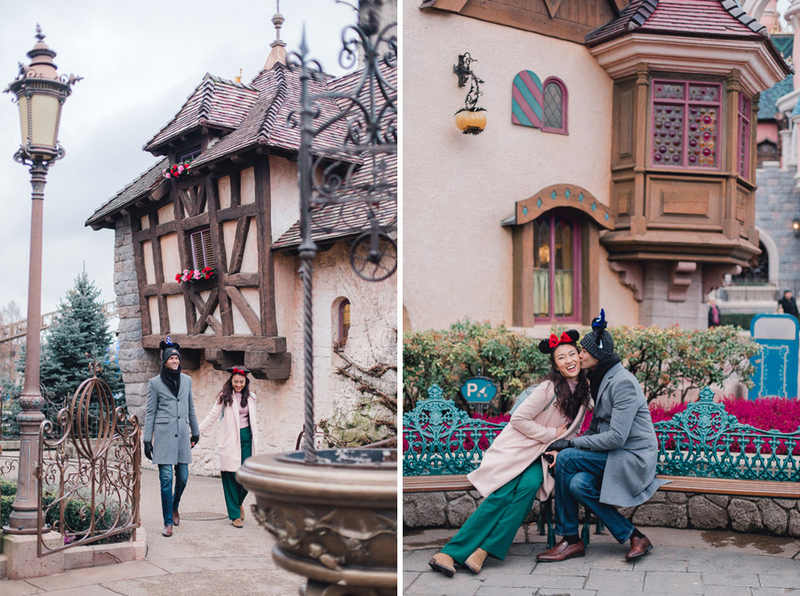 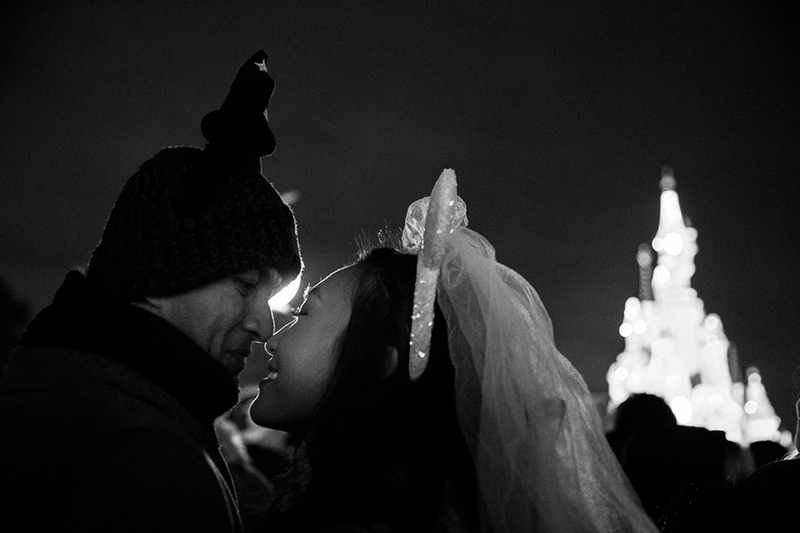 “There’s something magical about Disneyland, where every couple gets to be the princess (or prince) in their fairytale and live Happily Ever After. 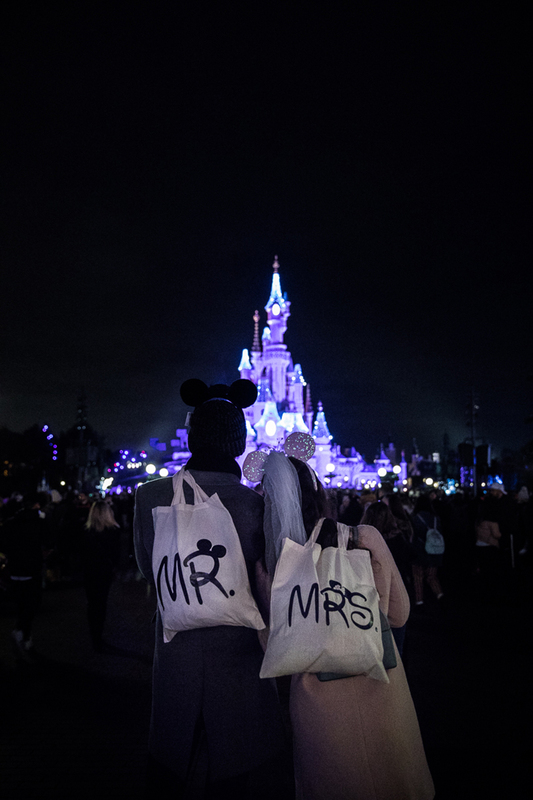 And I’m glad we found ours!